Every sailor who calls a brokerage company to list their yacht for sale has the same agenda – sell my boat for the highest possible price in the shortest possible time with the least amount of hassle. Years in yacht sales have taught me that good brokers sell boats, weak ones do not. As I have managed many brokers over the years at my own company, it is evident to me that yacht brokering is a profession that requires a wide range of skill sets to perform with success. Those skill sets are normally obtained over years of apprenticeship, but often through the aegis of professional organizations such as The Yacht Brokers Association of America, the Florida Yacht Brokers Association or the California Yacht Brokers Association. 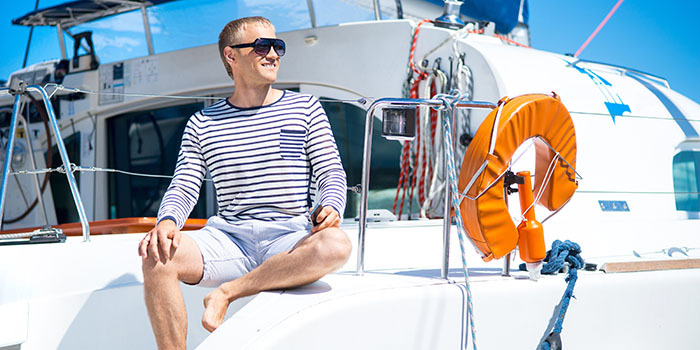 Any truly successful North American yacht broker will be licensed and bonded in either Florida or California, and likely carry the Certified Professional Yacht Broker credential from the Yacht Brokers Association of America. There certainly is no question that you really should be taking advice from a broker who is in the market on a daily basis selling boats just like the one you are trying to sell. Familiarity matters because a broker who can’t confidently advise you on pricing, or a potential buyer’s sailing requirements is crippled when it comes to the final moments of a deal as most hinge on a buyer’s and seller’s belief they are entering into a fair deal. As yacht sales are now a totally global business, you also want a broker who is working at a company that employs a wide range of marketing messages globally – boat show presentations, print, online, and social media, etc. Check the broker’s web presence and MLS listings. You can also check their website traffic rankings through www.alexa.com to make sure your yacht has the best exposure to clients. If the brokerage you are working with comes up consistently at the top pages of the major search engines without having to pay for it you can be assured they are selling a lot of yachts annually. Make sure your listing agent has a highly professional assistant and a strong back shop that can reach him or field calls on his or her behalf. Also confirm that your broker is a part of a skilled brokerage team that can assist him when he or she is out of the office. Successful brokers are travelling often to attend surveys and sea trials so they need an expert team to support when they are away from the office. Of course, ideally, you will have good chemistry with your yacht broker; enjoy him or her, as you will be spending a considerable amount of time together on the phone, in emails, and during showings or sea trials. There is no reason at all that the process of selling your boat needs to be painful and you might as well make sure your broker is someone you like and enjoy. If you price your boat too high she will not sell and in fact, over time, as she sits on the market, will get harder and harder to sell at any price. A professional yacht broker should provide you with a reasoned and very careful report of recent sold figures for boats such as yours, how they differed, and why they sold for what they sold for. He should offer you his advice on what is a proper retail price for your boat in the current market based on her condition, equipment, year, configuration, and location. Many sellers wrongly assume that every upgrade they have made to their yacht adds value to it but, sadly, this is generally not the case. While there are many items that do in fact add value to your boat for resale they seldom fetch back what they cost to purchase or install. In the end, the very most important factor in the sale of any yacht is her price, overall cosmetic condition inside and out, her interior configuration, location, and mechanical condition. How fast your boat sells is most certainly tied largely to her price and condition. But her location can also play a major role in how fast she sells and for how much. In the United States, the hot spots for selling are the major yacht cities of Fort Lauderdale, Miami, Annapolis, Newport, RI, San Francisco, Seattle, and San Diego. These cities are easy to get to and a buyer can often see several different yachts on the same visit. 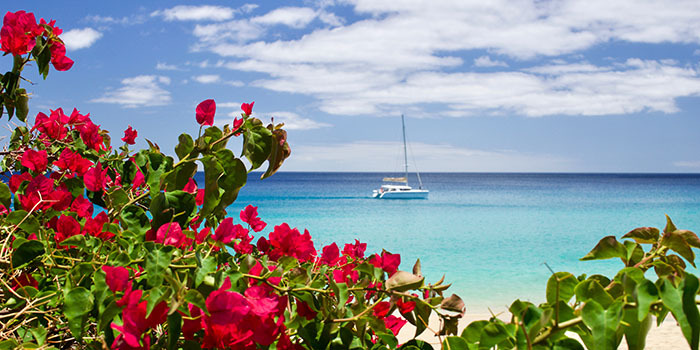 In the Caribbean we find that the Virgin Islands, St. Martin, and Grenada are the best locations to place our yachts for sale. In Europe the South of France and Turkey are the best locations to sell as they are easy to get to, warm enough year round to complete a sale, and have a wide range of large shipyards where a survey can be conducted. That said a yacht can be sold almost anywhere. I am often amazed at the locations where we have sold catamarans over the years – a mud flat in Costa Rica, Tonga, Fiji, Singapore, Seychelles, Langakwi, North Africa, you name it. It is simply the case that whenever we have a yacht for sale where there are few other boats for a buyer to inspect on the same trip we tend only to get showings to buyers who already know the boat brand, know they want that brand, and are flying in because they want that boat and are simply confirming her condition or coming to do a proper survey. While some sellers may balk at this, we always suggest that they allow us to produce a Catamaran Condition Index on their boat. With this report we rate her overall condition in advance of a survey. Many buyers half a world away may be very interested in your boat, but they have one lingering question: What condition is she really in?” Often the only thing that keeps a buyer from investing the time and money to fly to see a boat is this very simple question. Any brokerage firm that can honestly and accurately assist a buyer to answer it is miles ahead when it comes to crafting a sale. No buyer wants to take a long flight to learn that the boat he thought was a cream puff is really a very worn out charter boat. One issue that really does present problems is when boats are located where it is not only hard to visit them, but hard to survey them if a buyer gets serious. Have you ever tried to haul a 30-foot catamaran in Tahiti? Cannot be done. Unless there are facilities to haul and survey your cat easily near her listing location selling her will be doubly complicated. Finally, make sure your broker has a few sets of keys to your boat, or keys that are stored in a lockbox with a code your broker can share with others. Many buyers just pop up at the last minute wanting to see your boat without much notice to the broker – if we cannot get the keys, or have a problem getting the buyer onboard, it is always unfortunate. You want every showing of your boat you can possibly get. So make it as easy to organize as you possibly can. Whether you list your boat for sale in a popular location for showings or an isolated one it is vital that you work with your broker to provide him with every scrap of information you have on her history, good and bad. Buyers want to know everything they can – engine hours, gen hours, brand of electronics, recent refit history, damage history, where you sailed her, who has owned her, charter history if any, etc, etc. Buyers are sitting on the internet at 3 am looking at boats all over the world and they want it all – so why not give it to them? Getting very detailed information is even more vital if you are selling a lesser known brand or a custom or semi-custom boat. Who built it? Who designed it? How was it built? Can I stand up in the salon if I am over six feet tall? Etc. I often joke with my brokers about what I call the “Chinese Water Torture Treatment of Yacht Sales.” The emails that come in to us on a daily basis from buyers demanding the most arcane information are mind boggling at times. And often, of course, these buyers have no budget for this boat or will not be buying for many years, etc. They expect the answers, however, regardless of their seriousness or readiness to buy. At our company we go to great pains to try and dig everything we can from our sellers, but often we find they do not take this process nearly as seriously as they should. We list all of our yachts to the public on our websites without asking visitors to register, to make it as easy for them to see if they like a boat or not, and to answer as many questions as we can in our presentations. Many yacht brokerage companies force people to register for deeper information, in a sort of bait and switch effort to secure leads, but we believe this is not consumer friendly and aggravating. Frankly, if a buyer is self-shopping on the net, and not working with a buyer broker, we prefer he only contact us if he is serious about a boat – has very specific questions he must have answered to know if it is something he wants to take more seriously. There is no question that we always want to have as many pictures as we can get of any yacht we have for sale, and whenever a boat is close to us, we take them ourselves, and also do a video walk-through. Hopefully these are pictures that do not show a boat that is cluttered with junk all over the place. While I personally believe that pictures are seldom a very good way to determine a boats condition, many people on the internet tend to think so. The requests we get for “more pictures please” is rather constant, so my advice at the start to any seller working with us is the more the merrier. Videos are even better as they give a very good idea of the flow of the yacht, her spaces, inside and out. It boggles my mind how often yacht sellers fail to disclose to us their accident history, or sugarcoat them. I was recently involved in a sale where a few moments before I planned to send the seller an offer from a buyer I asked him very pointedly, “Before we go into a survey, is there anything you wish to disclose to me?” After a long pause he admitted he had had a serious collision with a barge and his entire port hull had to be rebuilt. What was he thinking not to have shared this with me and our buyer long before is hard to fathom. In short, honesty really is in the best policy when selling anything. The current market for catamarans is a truly global market. Most of the yachts we sell, for example, can easily be delivered anywhere in the world on their own bottoms. As such, the marketing of yachts today has to be global, both in terms of print advertising and web advertising, as well as boat show presence. Many buyers have as long as a four-year buying cycle, coming to boat shows to see boats, meet brokers, decide which company or broker they are going to work with when buying a new or used catamaran. Of course, all the marketing in the world is of little good if your broker does not respond to emails on a daily basis, respond to calls and emails on the weekends, etc. Buyers are now shopping 24/7 and they expect and demand immediate attention. When they want to see a boat, they want it organized. When they want information, they want it fast. Whether a call comes in from France or Australia, your broker must be fluent in discussing the issues associated with buying the boat, flagging her, surveying her, getting her delivered, insured, etc. In the end most sales hinge primarily on the person who takes the calls for you, responds to inquiries, and attends to the questions and needs of the potential buyers in the most professional manner possible. The cheapest and best thing you can do to sell your boat is to have her professionally buffed, waxed and detailed, and to have her cleaned once a week until she sells. It continues to amaze me how few of our sellers do this, despite our protestations. The next most important thing to do is have your engine rooms detailed so that they are spotless, to have all rust removed from any parts and painted, and to repaint any bow or stern lockers that are dirty or mildewed. Finally, remove all the clutter you can from your boat, store only what you must on her, and have her looking spotless inside, with all beds made up nicely and with good ventilation running at all times. Cosmetics continue to matter more than anything else – frankly, a lot of buyers are simply not experienced enough to see past a boat that needs a good buff and wax and detail. Leave nothing to their imaginations – show her as well as she can show. Make sure the heads are spotless, smell good and have no mildew or mold. Remove all clutter, clean out lockers. Cover up any holes in the bulkheads remaining after pictures were removed. Clean the bilges and ensure that they are dry, clean and odor-free. We have seen time and time again a deal fall apart because a piece of equipment did not work and the seller knew in advance and did not tell his broker. If your water maker does not work, do not put the water maker on your equipment list. This means that the surveyor does not need to test it and the Buyer cannot complain that it does not work when it was never included in the sale in the first place. Boats go market dead pretty fast. If you price your boat too high to start, or in a location that makes her hard to get showings, and your broker is not contacting you to discuss recent inquiries, she is either priced too high or you need to move her, very fast, to a location where she can sell more easily. Often when I am representing buyers I look very specifically for just such yachts for sale. Is she lying in a location that is hard to see her, or survey her? Has she been on the market a long time for this reason? If so, and the seller hasn’t gotten any offers, this is often a boat to offer on. The long and the short is, if your boat isn’t selling, and it is not due to location, you need to lower her price until you start to get a lot of interest and some offers. It is always better to turn down offers that are too low than to get none at all. People getting involved with yacht sales often get a bit too personal over it all, and sometimes sellers get upset and behave badly, assuming all sorts of ill intent from a given buyer when there is none. And vice versa. Whenever I get into a sale I often have no idea how a buyer or seller will behave in the heat of negotiations. But if there is one thing I have learned it is this: anger is never helpful or profitable in business. If you get an offer, you accept it, reject it, or counter it with the terms and price you can live with. If you find an offer upsetting then simply refuse to counter it. If you are selling the boat for far less than you had hoped that is not the buyer’s fault. You may have paid too much for her. You may have added on options that are not bringing you back the money they cost to install and purchase. The market conditions may have deteriorated since you bought, etc. The only advice I can give to sellers who are upset about the price they are getting for their boats is to ask them to recall all the months and or years they spent on her, what it would have cost them to charter her for this time, and to see and place a significant value on that. We buy boats for life enhancement, not as investments. Our boats are an investment of faith in many respects; they are tied to spiritual gifts not financial returns. Finally, change your oil. Replace all of your oil and fuel filters. Top off all of your fluids. Top up your batteries. Fix all leaks and repair all broken items on the inventory. Now is not the time to be cheap. 13. Respond to emails and requests for information from your broker, documentation agent, and lawyer when you prepare to close. After you finally have an acceptance of yacht it is vital that you focus on the many details of transferring title with your broker. It is important that you remain in easy reach by phone, email, and courier express services, and often also in close range of notarial offices. I am often surprised at how many sellers we have take off to far flung places after the survey where it is nearly impossible for them to work closely with us in expediting the closing process. There is no reason at all why the process of a yacht sale should not be pleasant for both the buyer and seller and everyone involved. While there may be issues that arise that require serious negotiations, they should always be carried out in good faith and with a pleasant attitude. 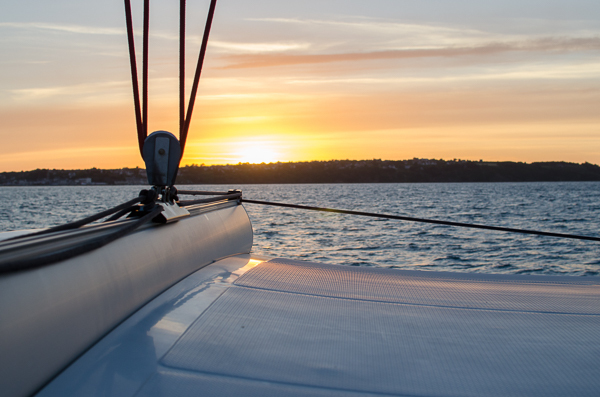 Yacht sales are very often emotionally charged events for both buyers and sellers. Keep it positive and a positive result is far more likely to occur. 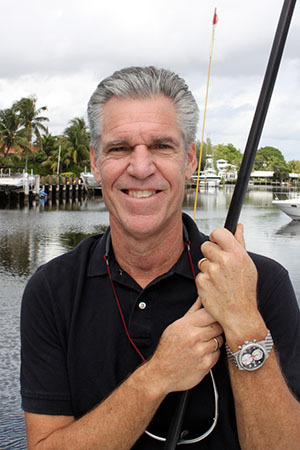 Andrew Holland is the Sales and Marketing Manager of The Multihull Company and is an avid catamaran enthusiast. 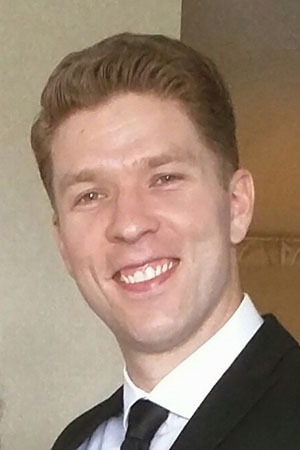 He began working at The Multihull Company in 2007 after graduating from Temple University with a degree in Journalism and a minor in Marketing. Before joining TMC in 2007, Andrew worked for Philadelphia Media Holdings on the Philly.com production team and freelanced for several major magazines around the country.